The author traces the story from Ancient History to the present day. 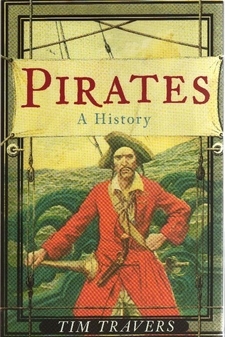 Inevitably pride of place goes to the pirates of the Caribbean during the late 17th and early 18th Centuries, the romantic or golden age of piracy. Just why the Caribbean Pirates achieved fame is difficult to identify. In common with all pirates down the ages, theirs was a brutal trade and a hard short life for many. A difficulty exists in deciding who is a pirate and who is not. Before the Royal Navy established itself as the supreme global naval power during the Seven Years War with France, standing navies organized on strict discipline by a State were rare. Even these navies relied heavily on auxiliary warships because no nation could afford to maintain a large naval force during peacetime, but needed to expand rapidly in time of war. The auxiliary warships that supported expansion as additional naval vessels in time of war were not idle in peacetime.